Max Scheler was born on August 22 1874, in an orthodox Jewish family. He was the most influential philosopher of his time, known mainly for his ideas on phenomenology. In his early years Scheler was not a very strong student, but did show early interest in philosophy. In 1894, he started study at the University of Munich and by the fall of 1895 got himself enrolled in the University of Berlin. He studied medicine, philosophy and sociology. In 1896, he moved to Jena to study philosophy under Rudolf Eucken who was a popular philosopher at that time and here he started his career in philosophy. In 1897, Scheler received his doctorate. In 1898, he took a trip to Heidelberg to meet Max Weber. In 1899, Scheler received associate professorship at the University of Jena. He taught at the University from 1900 to 1906. During this period he met Edmund Husserl in Halle in 1901, he was greatly inspired by Husserl’s ideas, and a year later read his “logical Investiation”. This was the beginning of Scheler’s interest in phenomenology. After he ended his career in Jena in 1906, Scheler started working in Munich as Privatdozent. There he established a circle of “munich phenomenologists”. Scheler was a target of various controversies regarding adultery and had reportedly been involved in affairs with various students after separation from his first wife. This was one of the main reasons for his negative image. From 1910 to 1919 Scheler remained secluded as a private scholar, lecturer and freelance writer. These were the most productive years of Scheler’s life and during this time, he published his major works in phenomenology and works such as “Theory of Feeling of sympathy and of love and hate”, “Formalism in ethics and non-formal ethics of value”. It was also at this time that Scheler became co-editor, along with Husserl, of the greatly influential journal, Jahrbuch für Philosophie und phänomenologische Forschung. 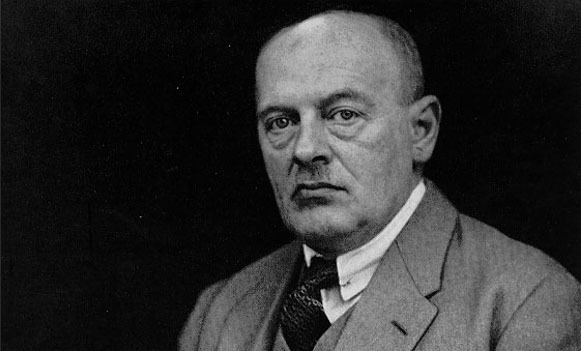 In 1918, Scheler received an invitation to teach at a newly founded Research Institute for Social Sciences in Cologne officially joining the faculty in 1919 and here he started working on his famous piece on religion, “On the eternal in man” which was published in 1921. During his time in Cologne his circle of influence grew and he met and corresponded with many of the leading philosophers of the time and these correspondences were not only limited to philosophers but also included psychologists, natural scientists, musicians and scholars of the time. His diverse set of friends helped Scheler develop extensively as a writer. This is one reason why Scheler’s works extend from such as sociology of knowledge, philosophical anthropology, metaphysics, politics and history. During this time he lectured extensively at universities across Germany. Soon Scheler divorced his second wife and got married to his third wife; this endangered his position in the university as a catholic professor. Seeing the conservative ideas of the Catholic Church he made himself distant from the Church and specified the nature of his work as philosophical not religious. In 1927, he was offered a position as professor at the University of Frankfurt. In 1928, his health began to worsen and he suffered from a series of heart attacks and died as a result of one episode of heart attack on May 19th 1928 in Frankfurt. Scheler’s works on the definitions of phenomenology and philosophy, personalism, community and solidarity won him great recognition even after his death.